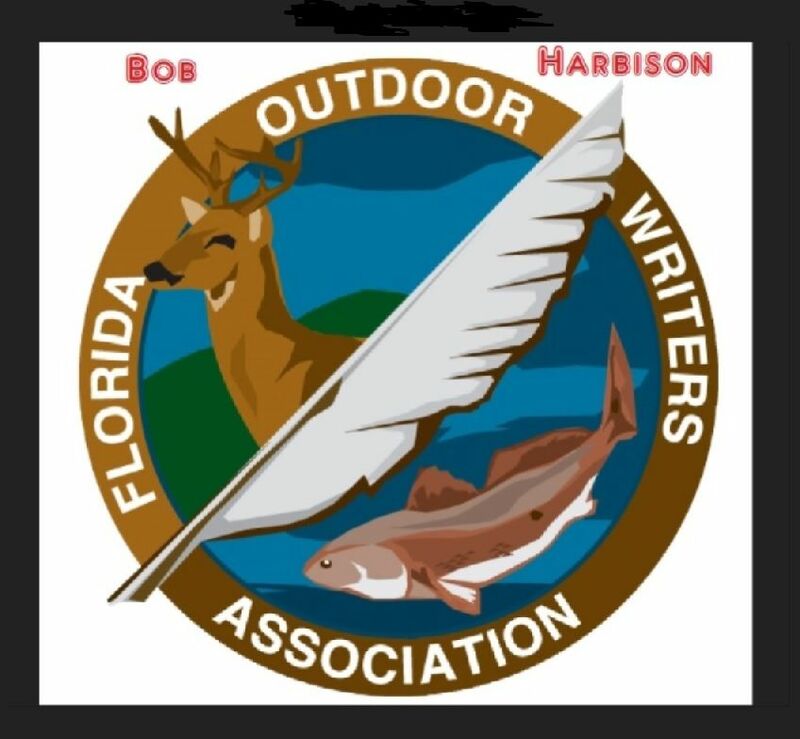 We in the Sunshine State are blessed with waters teaming with fish. 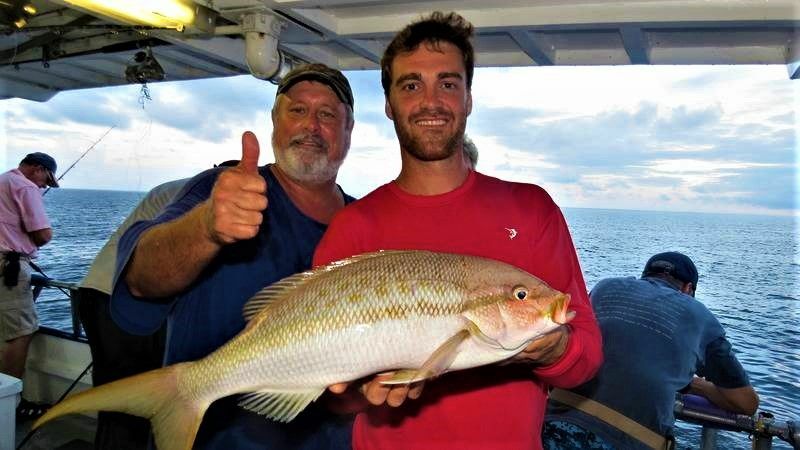 From ponds, streams, lakes, in-shore, close to shore, off-shore, and deep-drop, Florida has earned the title of the Fishing Capital of the World. 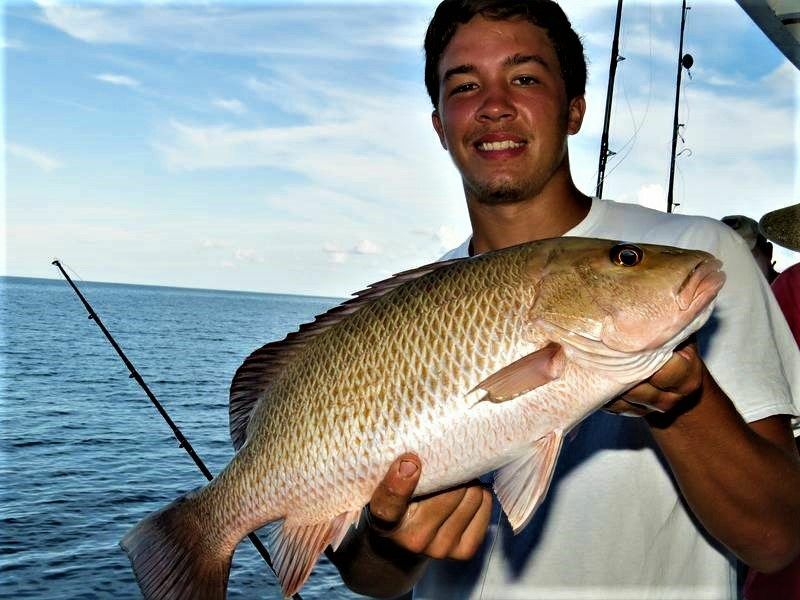 With 4,755 International Game Fish Association (IGFA) records, Florida has far more records than any other state. The second highest state is Alaska with 1,354. 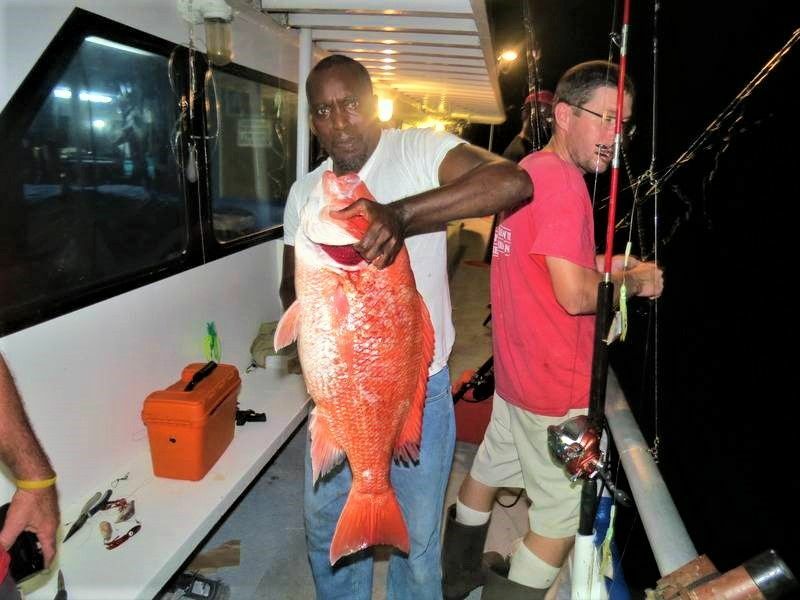 What is fishing for snapper in the Fishing Capital of the World like? Let's take a look. 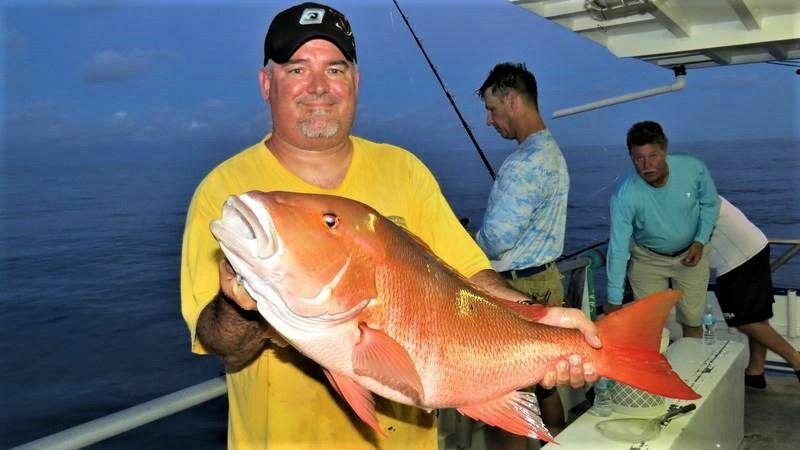 Snappers are a family of predatory fishes that can be found in most tropical & subtropical waters as well as many estuaries where they feed in fresh water. 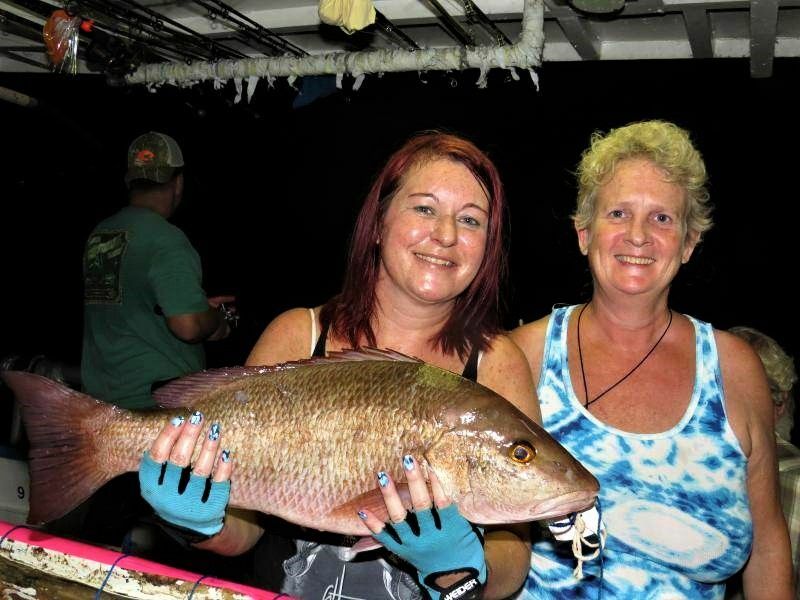 The snapper family includes some 113 species. 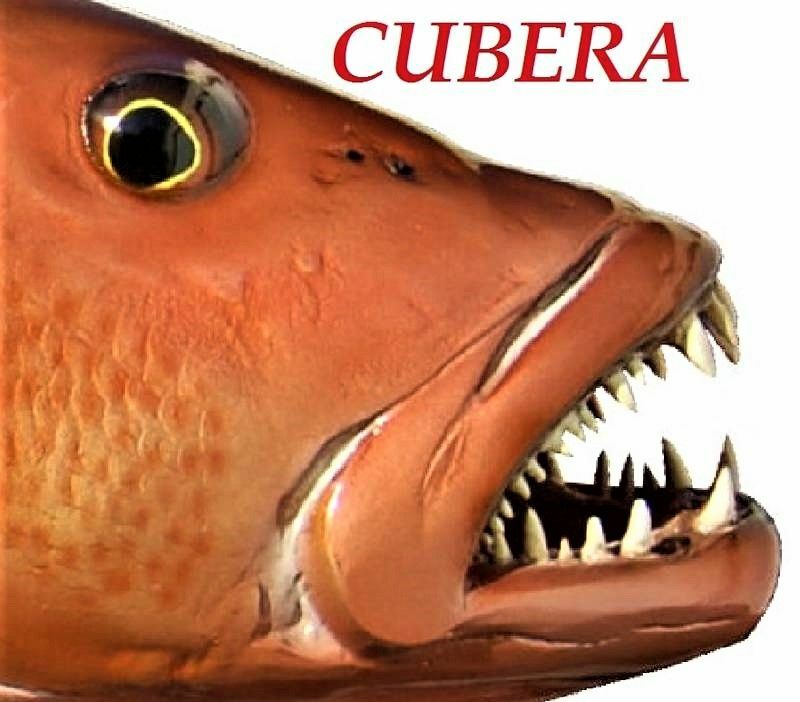 Snapper can even be kept in aquariums, however, most grow too fast to be popular aquarium fish. 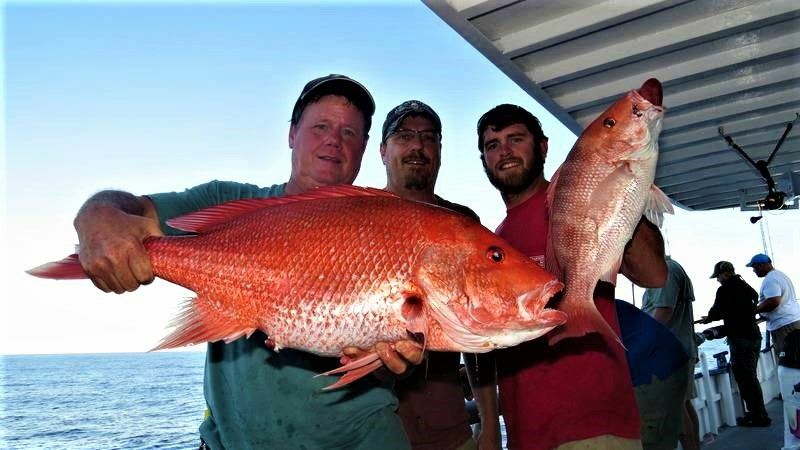 Members of the snapper family can be found in depths from a few feet up to over 300 feet of water. 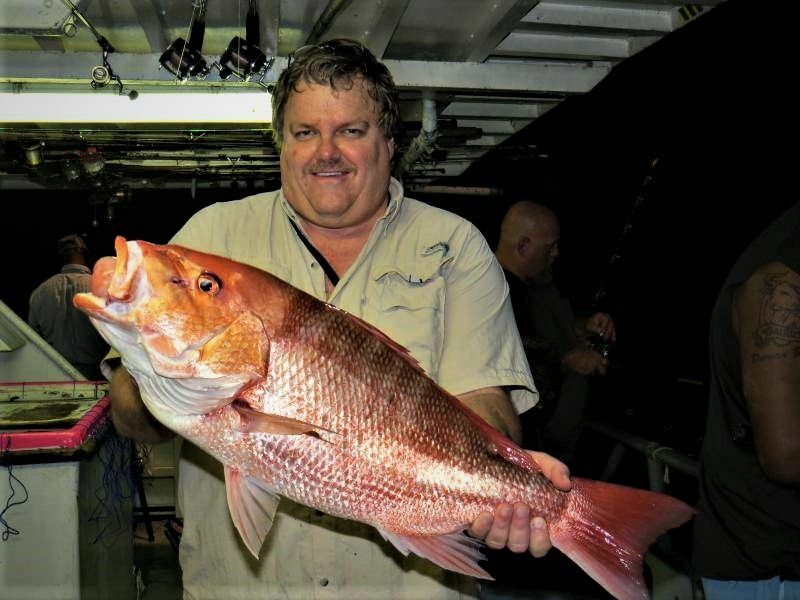 Some species, such as the Queen snapper, are found up to 1,500 feet deep. 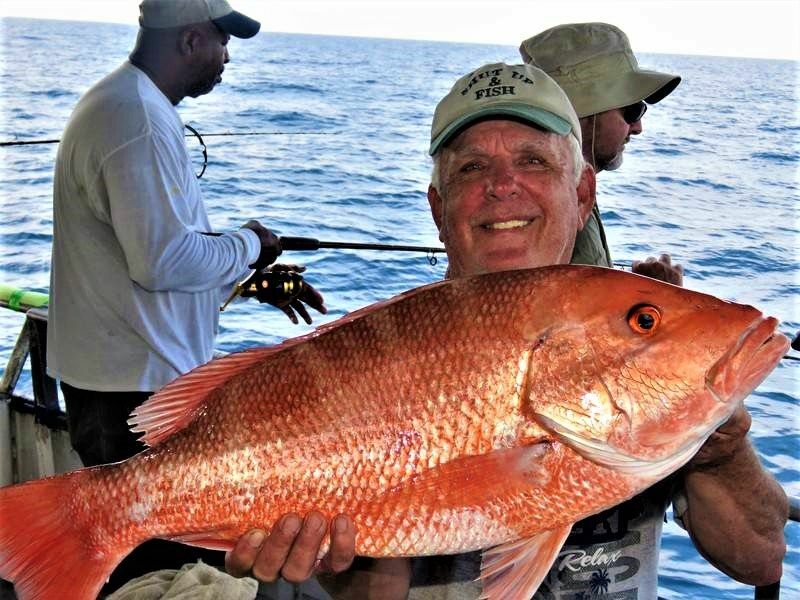 Queen snapper, a very deep water species, are common in Florida, the Bahamas, and the Caribbean. 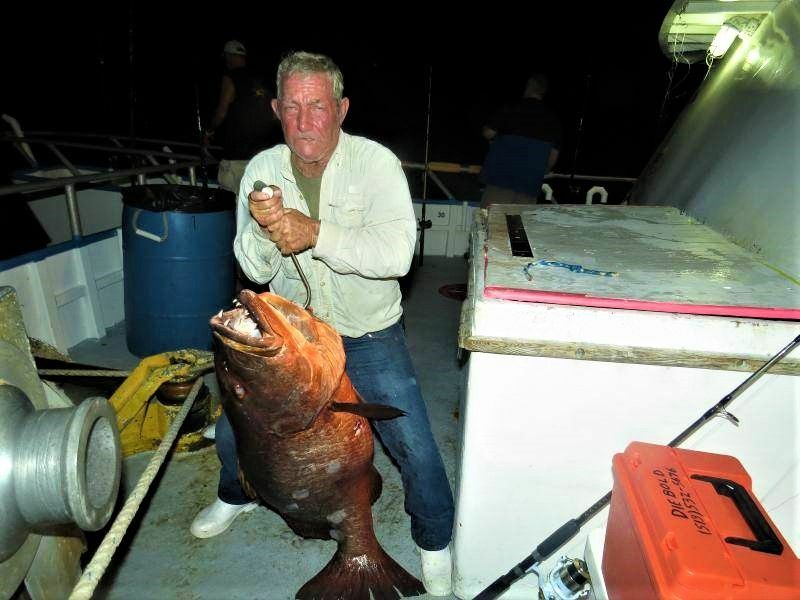 This deep water species is seldom caught in waters shallower than 400 feet. 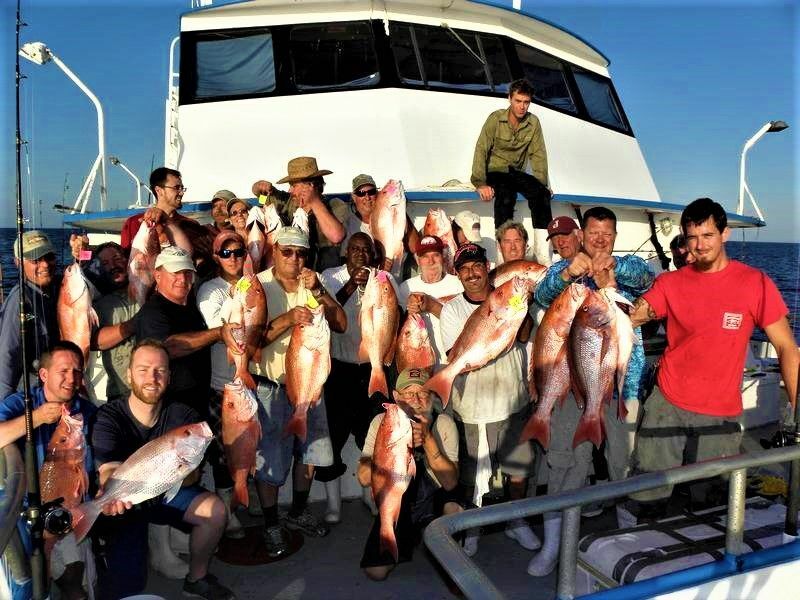 Most are caught in 600 feet and deeper. 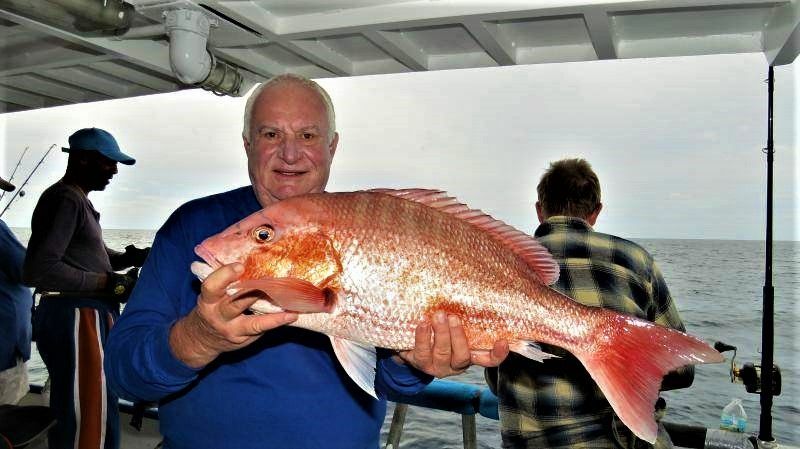 The Queen snapper is bright red on its upper and lower sides, and shaped more like the Yellowtail. 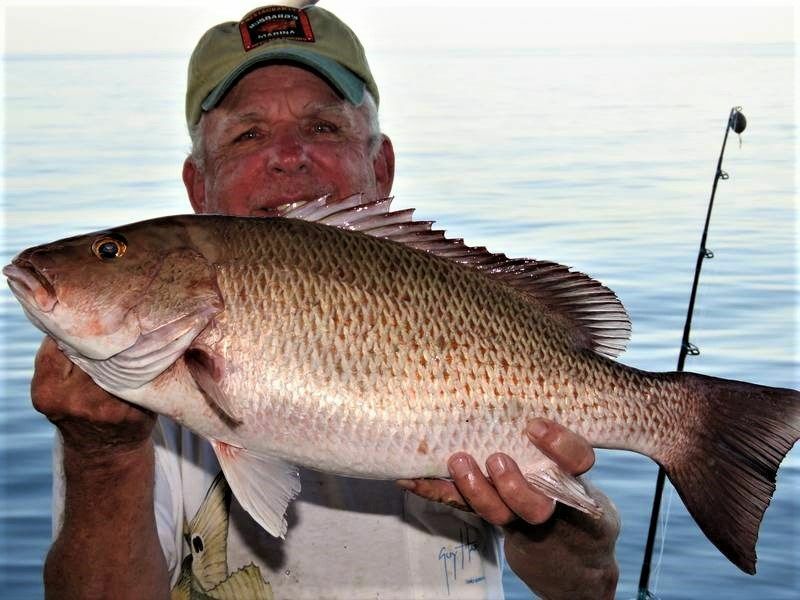 It has silver sides and a deeply forked red tail that continues to lengthen as the fish grows. The eyes are very large and yellow. 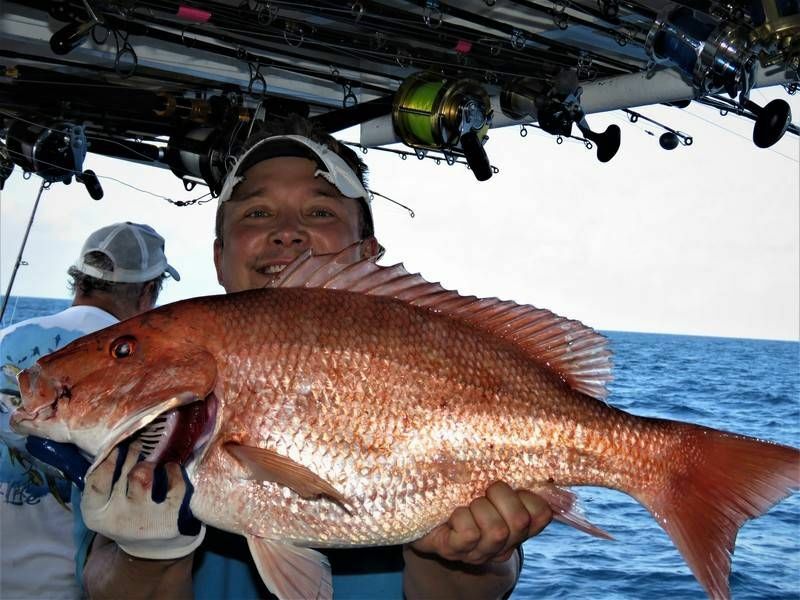 Queen snapper reach maturity when one year old. 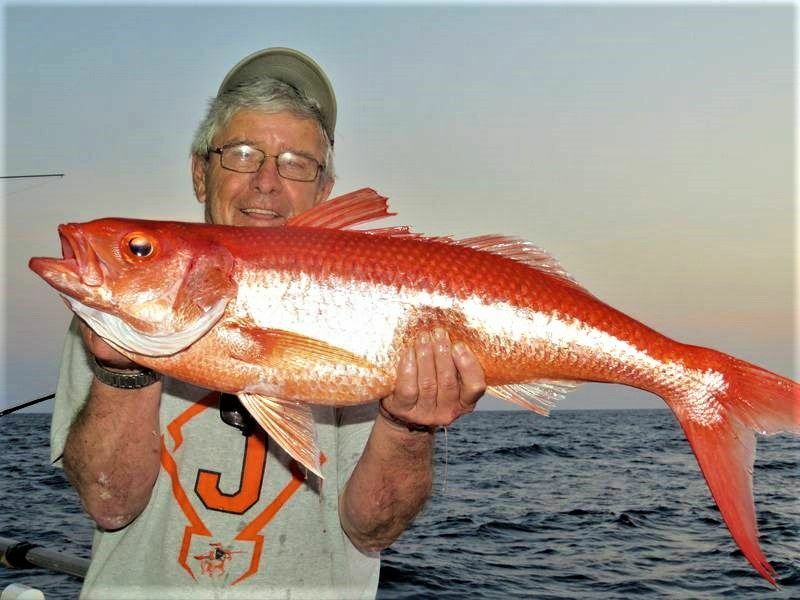 Spawning occurs during April and May. 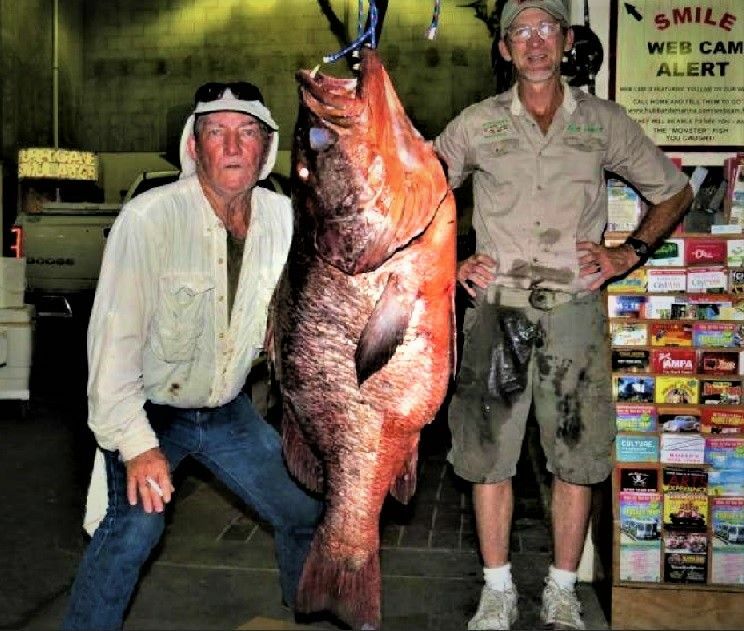 all tackle world record Queen snapper, 28.0 pounds, was caught off Long Key, Florida, by Captain B. Walter. 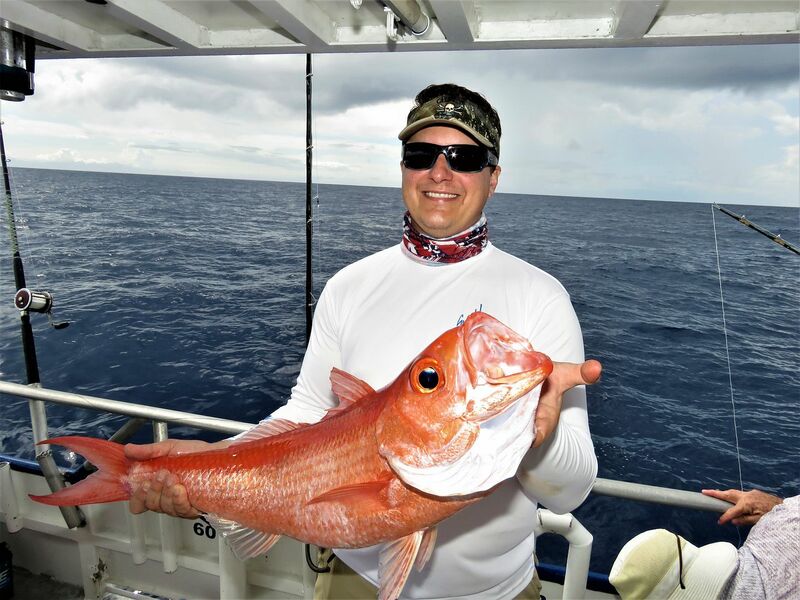 Queen snapper are both fun to catch and great to eat. Check out the Mighty Queen 12 seconds into the video at the end. 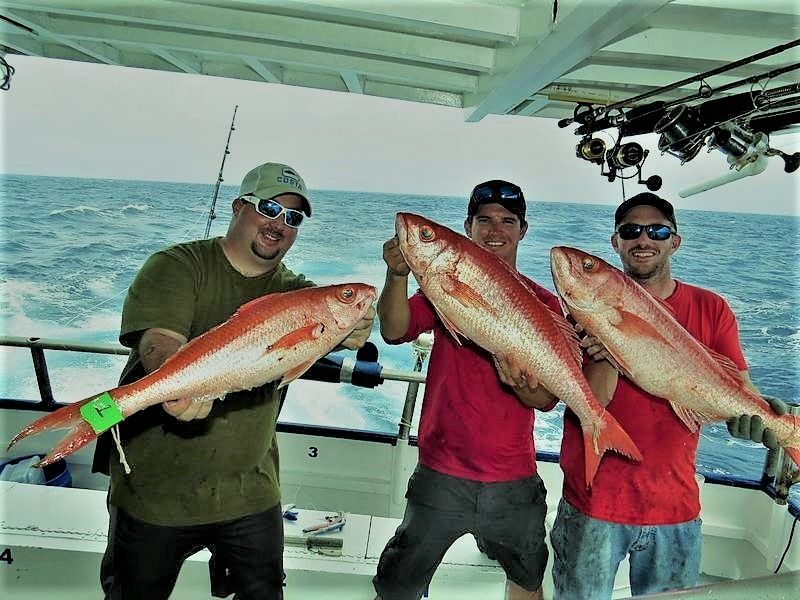 Mutton snapper can be found in the Gulf of Mexico, and are particularly common in the Caribbean. 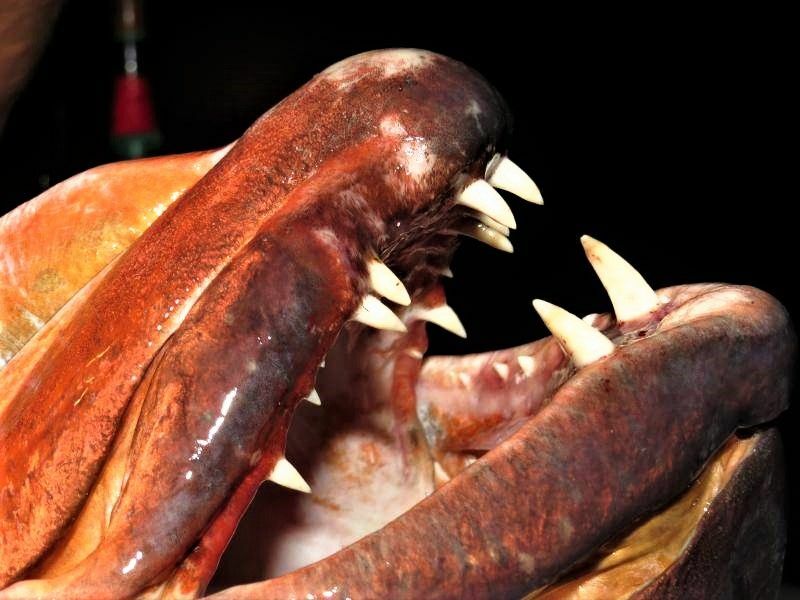 Muttons can reach a length of 37 inches, but most do not exceed 20 inches. 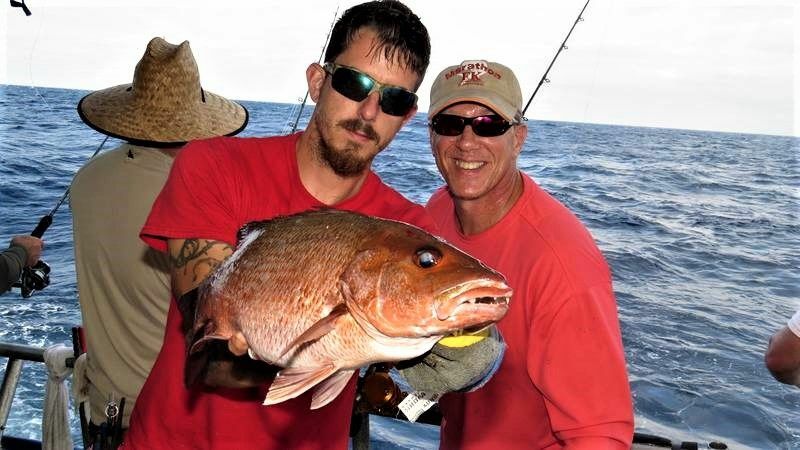 The greatest known weight recorded for Mutton snapper is 34 pounds. 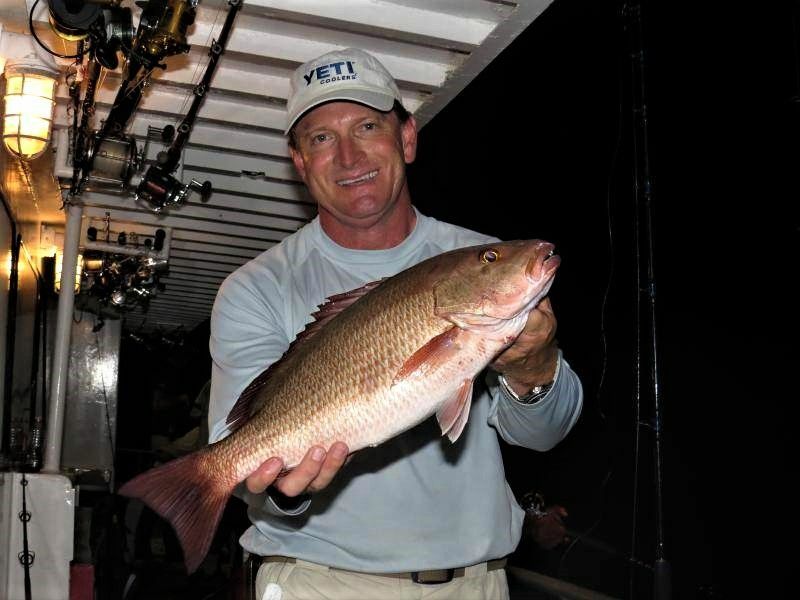 The Mangrove (Gray) snapper is one of the most common species of snapper in warmer regions. 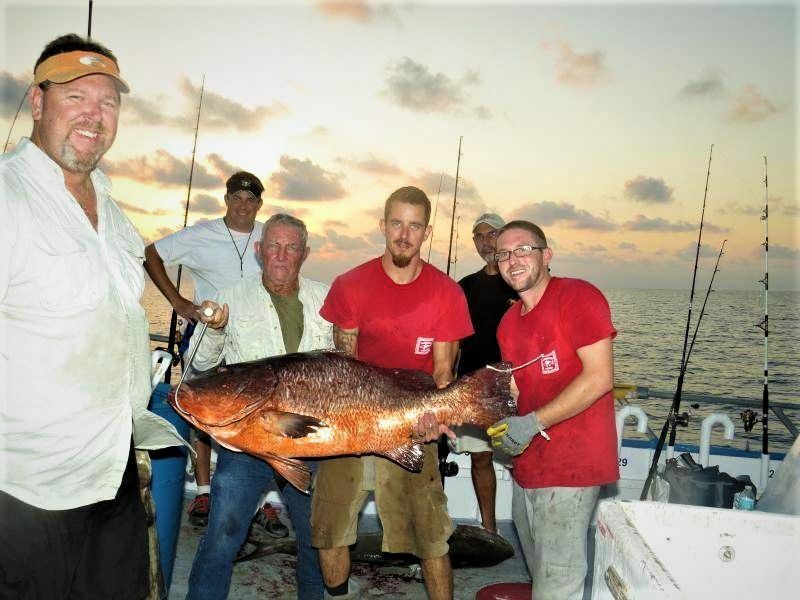 This species of snapper is native to the western Atlantic Ocean from Massachusetts to Brazil, the Gulf of Mexico, and the Caribbean Sea. 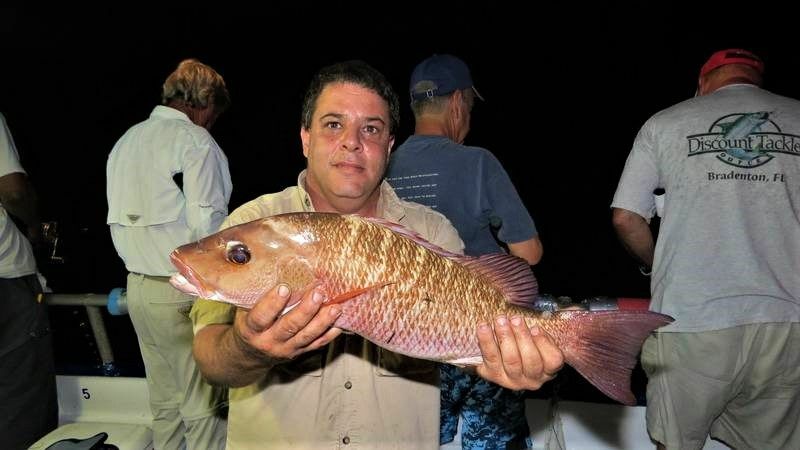 The Mangrove snapper can be found from canals to grass flats, as well as open water. 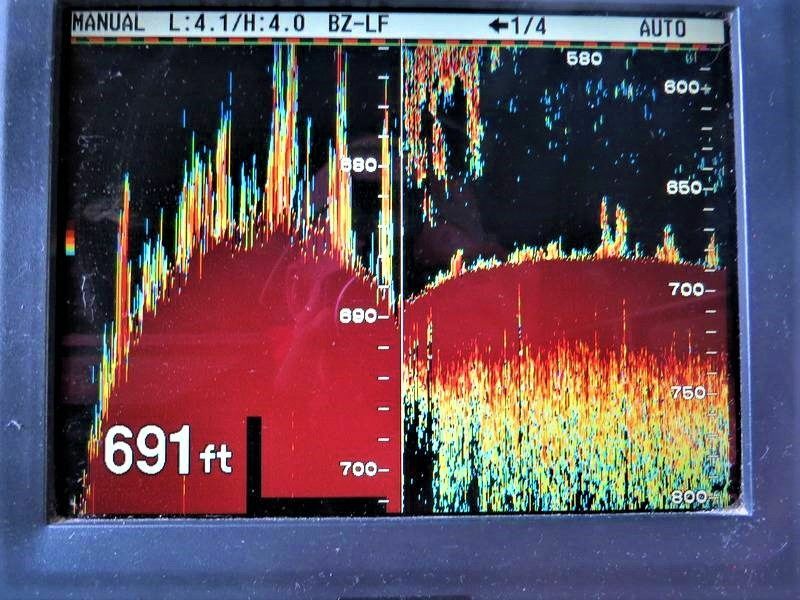 They are caught at depths from 16 to 591 feet. 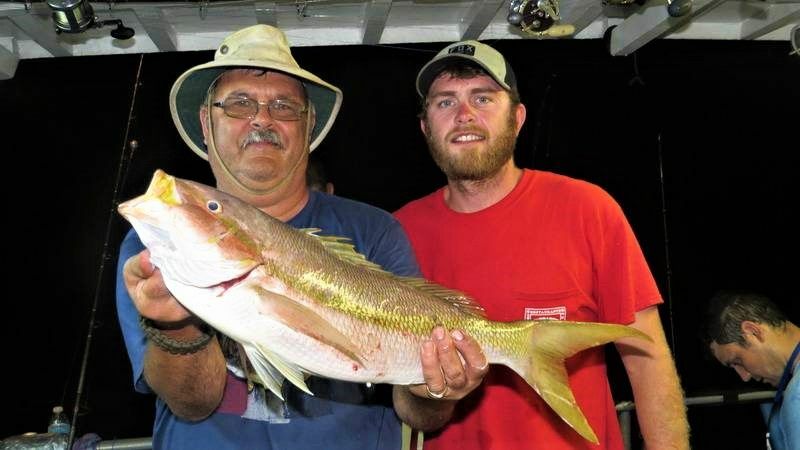 However, most are caught in waters less than 160 feet. 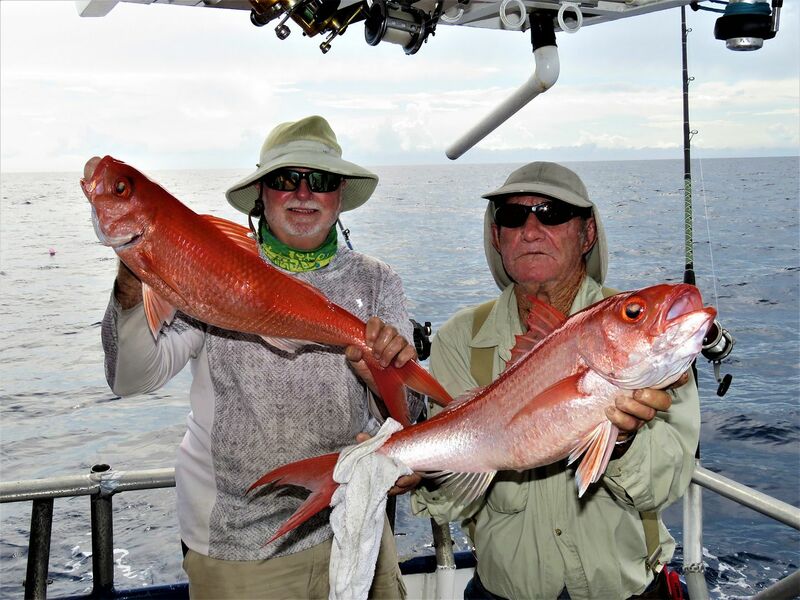 The Mangrove (Mango) snapper can be found in a wide variety of habitats, including brackish and fresh water. 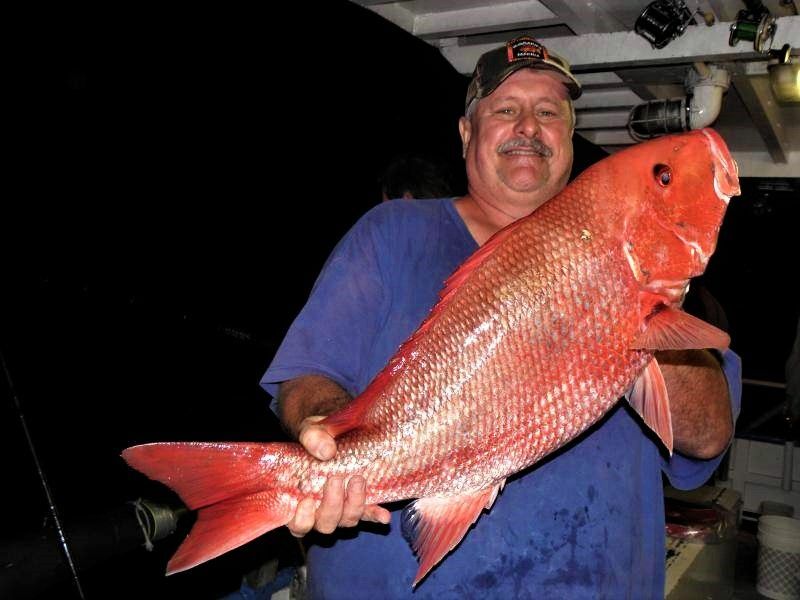 Mango snapper can reach a length of 35 inches, however, most do not exceed 16 inches. 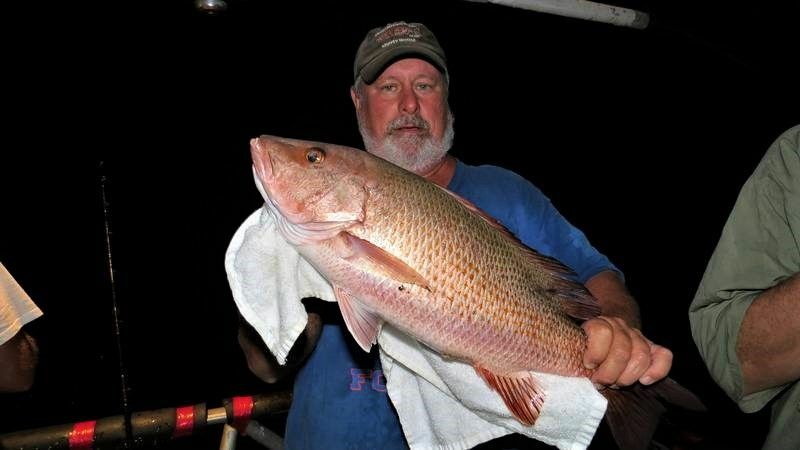 The greatest recorded weight for mangrove snapper is 44 pounds. 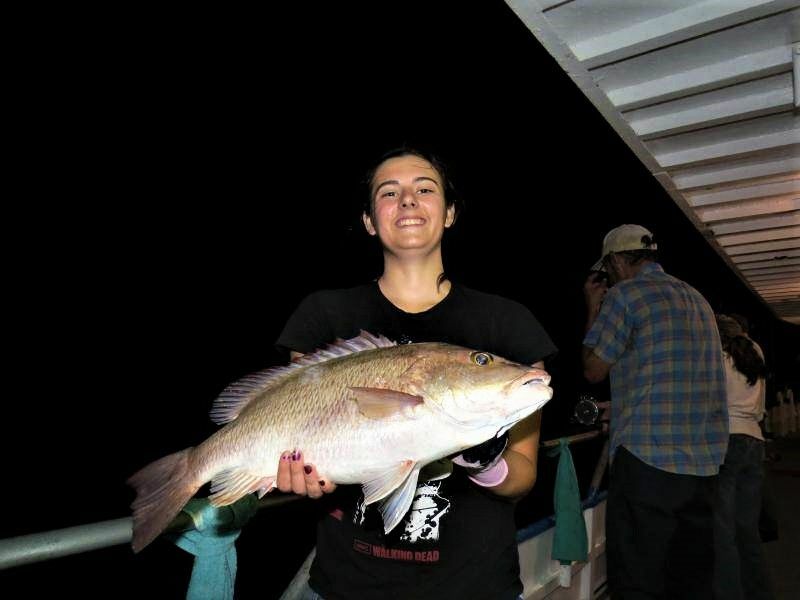 Mangrove snapper aggregate at near-shore and offshore reefs for spawning during the summer months from June through September. 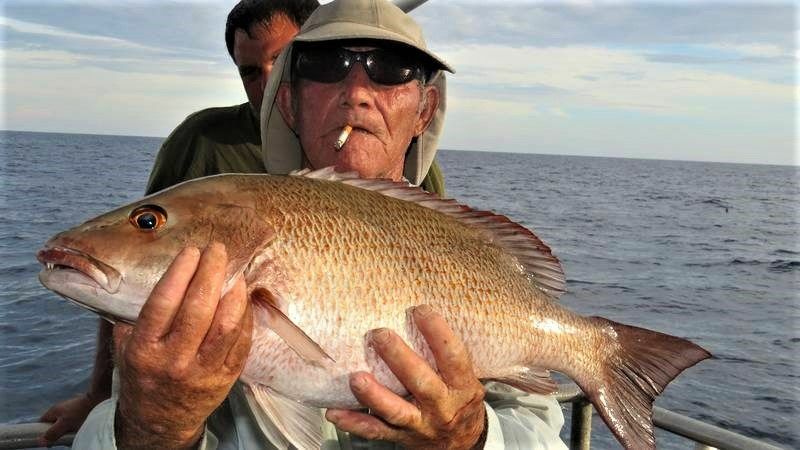 They are very 'tricky' and hard to catch. 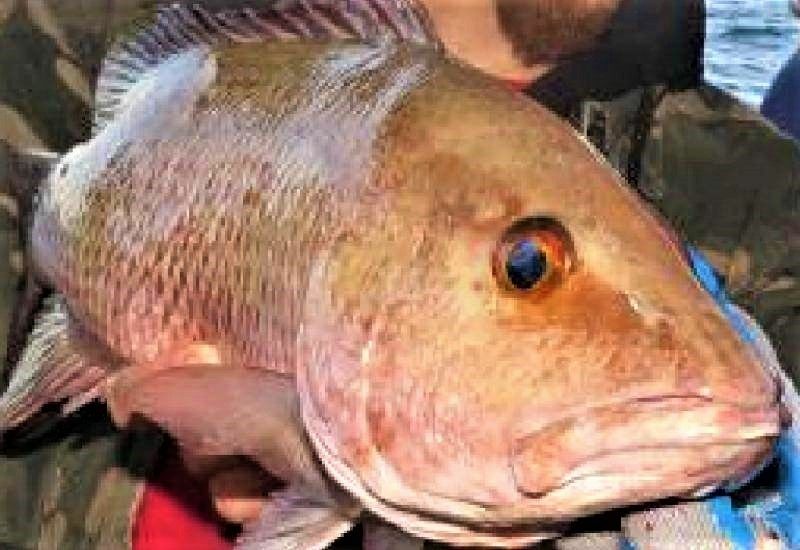 The Vermilion snapper (Beeliner) is a species of snapper native to the western Atlantic Ocean from North Carolina to Bermuda including the Gulf of Mexico and the Caribbean Sea to Brazil. 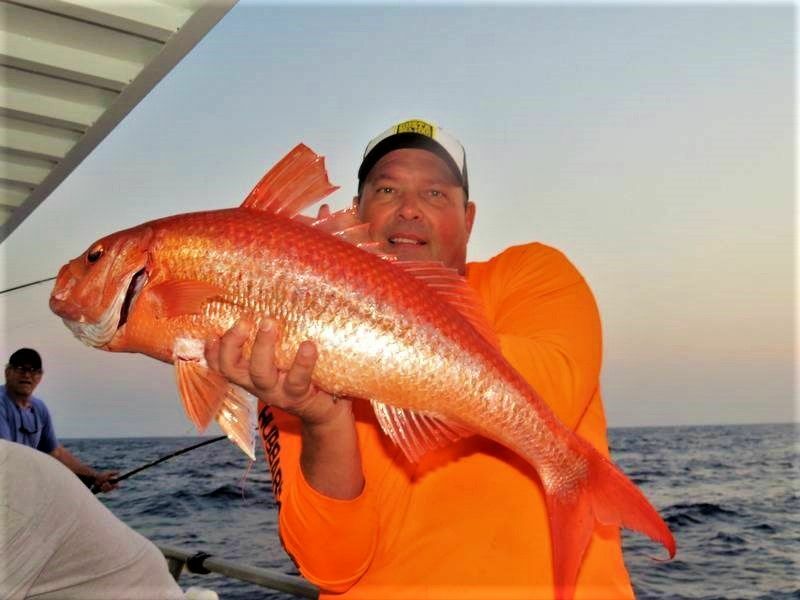 The Vermilion inhabits waters from 130 to 980 feet, but are rare in depths over 330 feet. 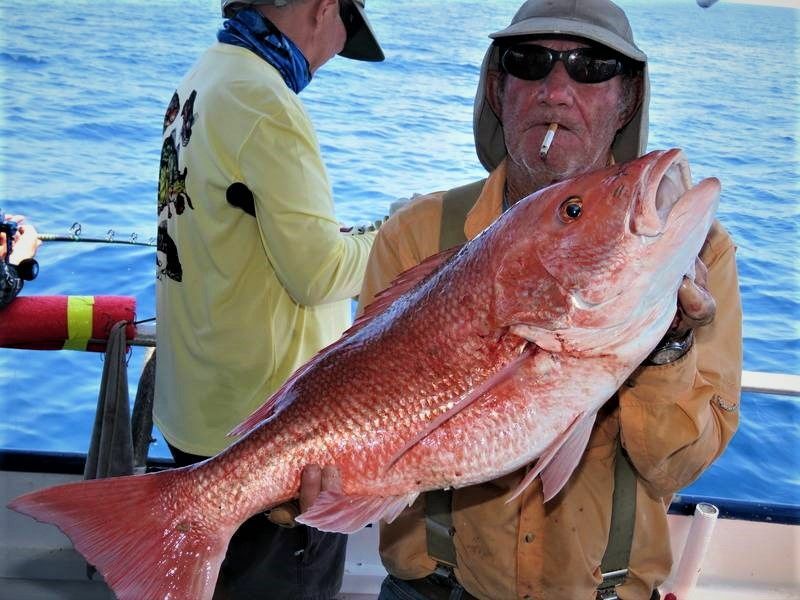 They can reach a length of 24 inches, however, most are around 14 inches. 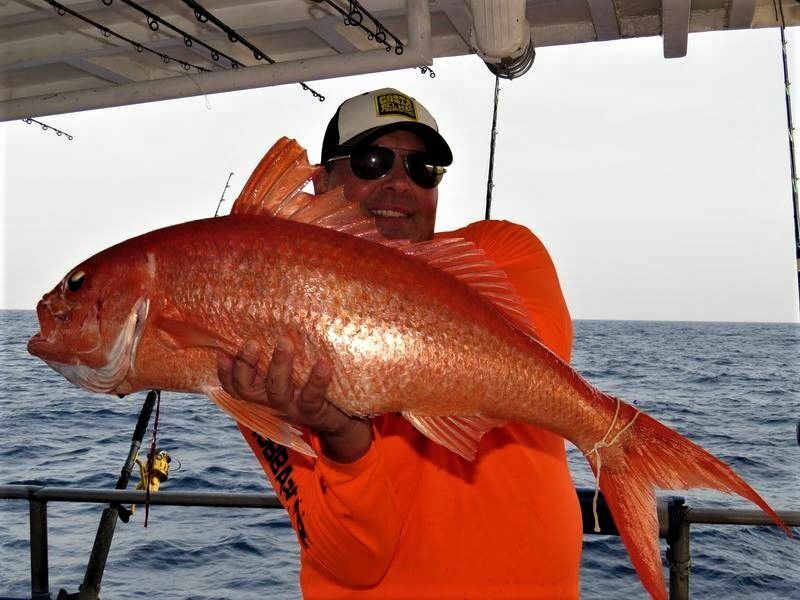 The greatest recorded Vermilion weight is 7.1 pounds. 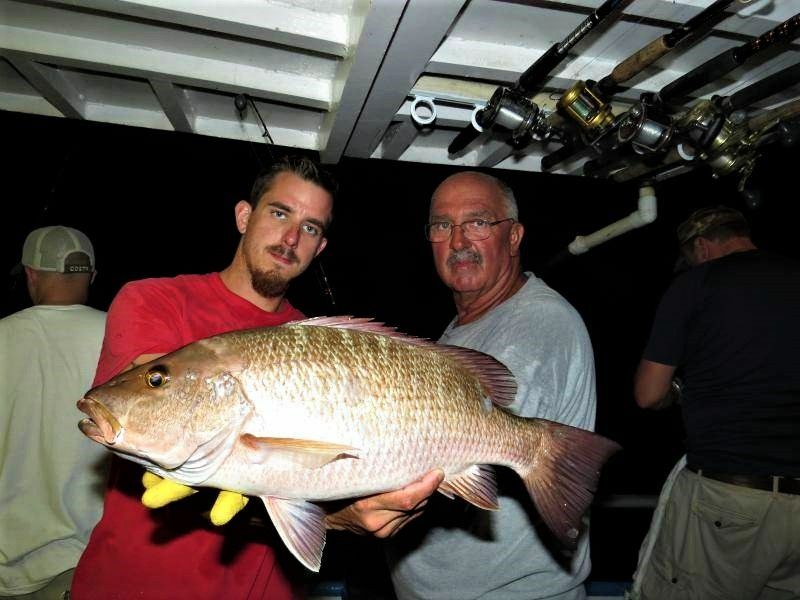 The Vermilion snapper is often sold as Red snapper. 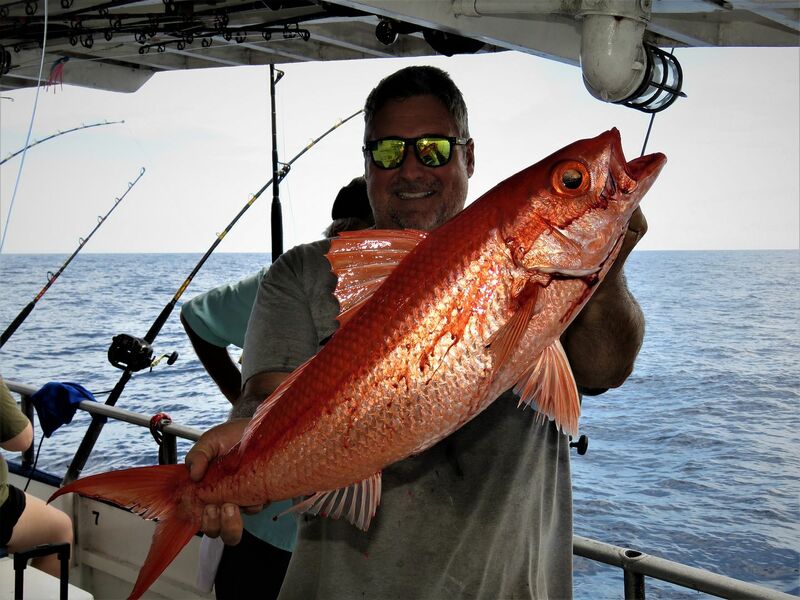 The Yellowtail snapper is native to the western Atlantic Ocean including the Gulf of Mexico and the Caribbean Sea. 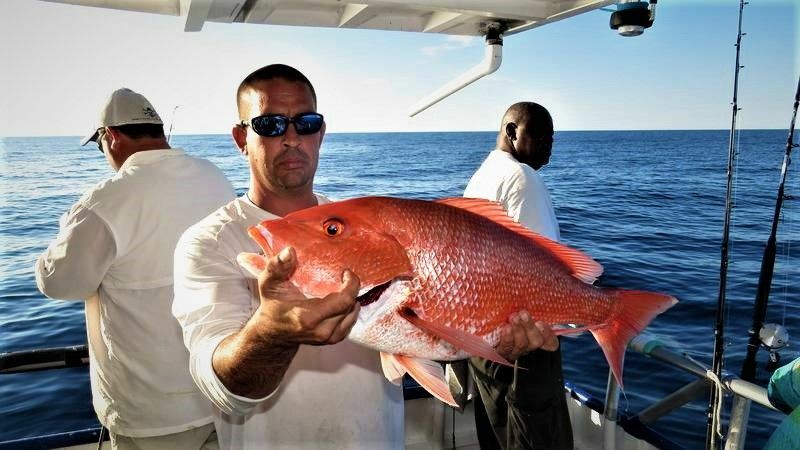 Although they have been found as far north as Massachusetts, their normal range is along Florida south to the West Indies and Brazil. 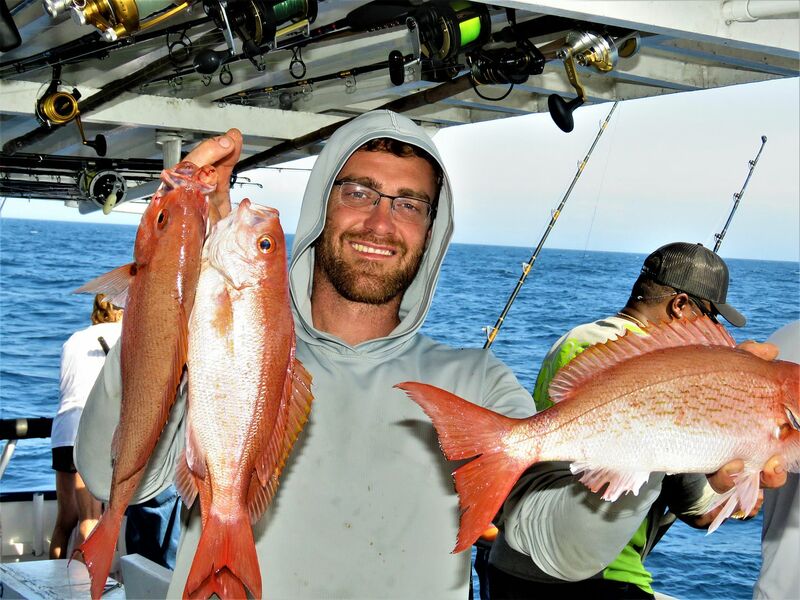 Yellowtail snapper can be found in depths up to 590 feet. 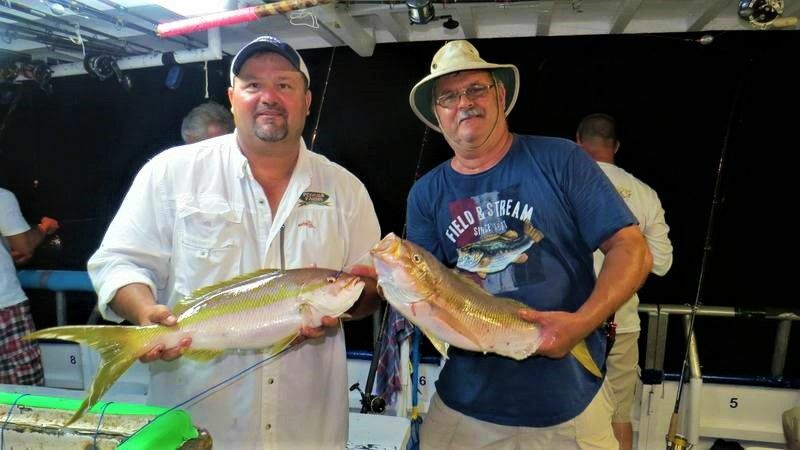 Most Yellowtails do not exceed 16 inches. 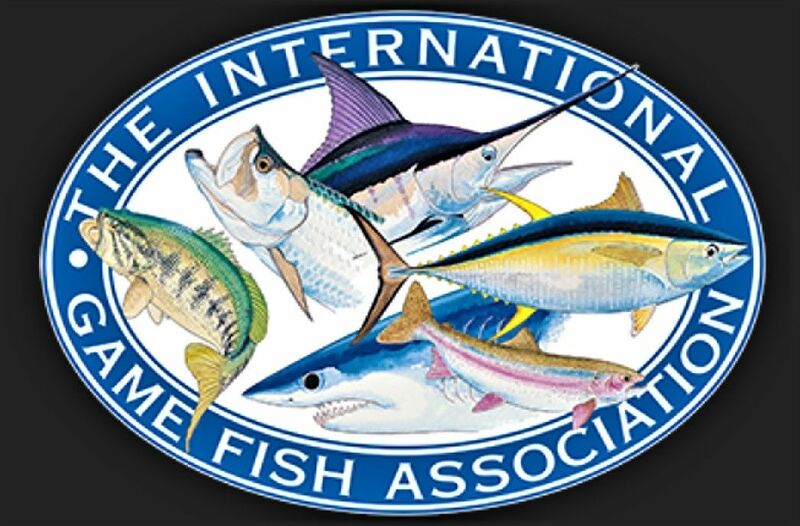 The IGFA world recorded weight is 11.0 pounds. 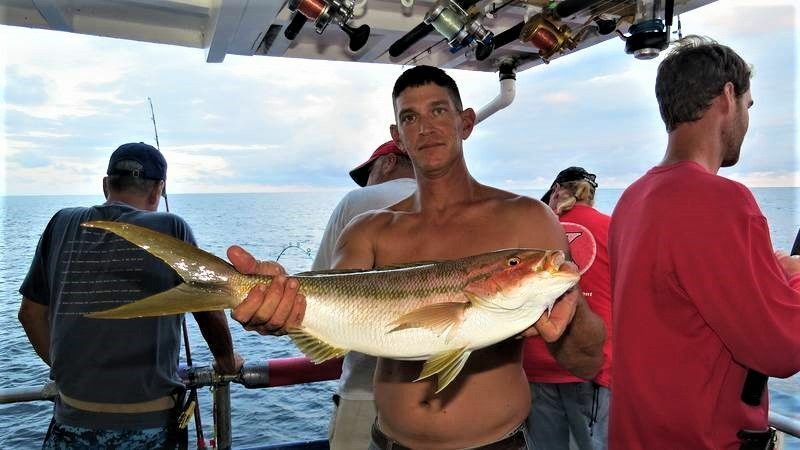 The Yellowtail snapper is the only known member of its genus. 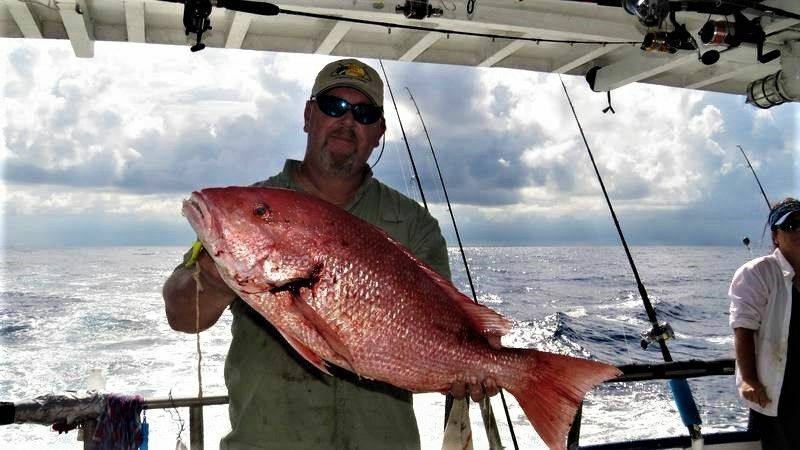 What is fishing for snapper in the Fishing Capital of the World like? The answer is simple... Fantastic! 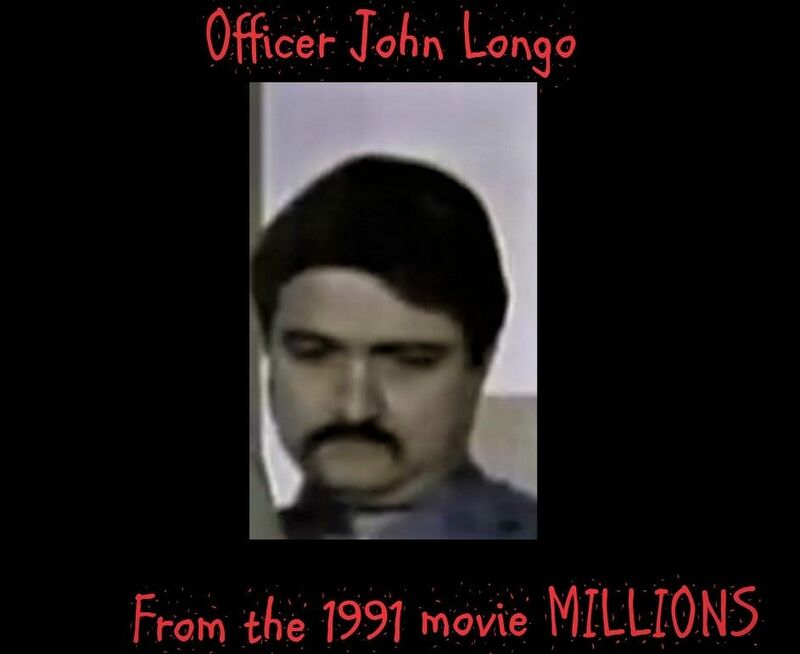 Thanks to Mr. John Longo for providing technical assistance & proofreading.